Fibromyalgia sufferers have faced a tough road in filing disability claims until recently. However, recently Social Security (“SSA”) clarified its ruling on fibromyalgia, paving the way to more favorable rulings. Social Security Ruling 12-2p issued on July 25, 2012 should alleviate some of the obstacles these claimants have encountered. Fibromyalgia is a syndrome in which a person has chronic pain that affects the joints, muscles, tendons and soft tissues. 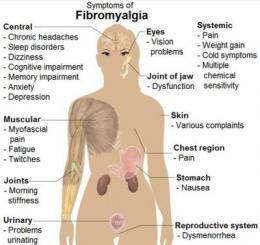 The cause of fibromyalgia is still unknown. It has a wide variety of symptoms that present with varying degrees of limitation. Thus, diagnosis is often difficult. Under these criterion, the claimant must have a diagnosis by a licensed physician. The doctor must have reviewed the person’s medical history and have conducted a physical exam. SSA will not rely only on the diagnosis, but will review the doctor’s treatment notes and the claimant’s symptoms over time. The diagnosis must be consistent with the evidence in the record and must satisfy the criteria required from national fibromyalgia diagnostic groups, specifically the 1990 American College of Rheumatology Criteria and the 2010 American College of Rheumatology Preliminary Diagnostic Criteria. Per the 1990 standard criteria, the claimant must show: 1) a history of widespread pain; 2) al least 11 positive lateral tender points; and 3) evidence that other disorders that could cause the symptoms were excluded. Per the 2010 standard criteria, the claimants needs to have all three of the following: 1) a history of widespread pain; 2) repeated manifestations of six or more fibromyalgia symptoms, signs or recurring conditions, especially manifestations of fatigue, cognitive or memory problems, waking unrefreshed, irritable bowel syndrome; and 3) evidence that other disorders that could cause these repeated manifestations of symptoms, signs or re-occurring conditions were excluded. Keeping a chronological list of treatment and symptoms as well as a diary of how the impairments affect daily activities or ability to work is important to building a successful claim. If the disease becomes debilitating, a Social Security Disability attorney can help you file a claim that will lead to a favorable ruling.